Wonder what all the heartburn is about with the oyster restoration bill sponsored by local legislators Sen. Bill Cook, R-Beaufort, and Rep. Beverly Boswell, R-Dare? It’s dirty – plain and simple. And although the who, what and how parts are now visible, there are a ton of questions about various entities that are yet to be answered. 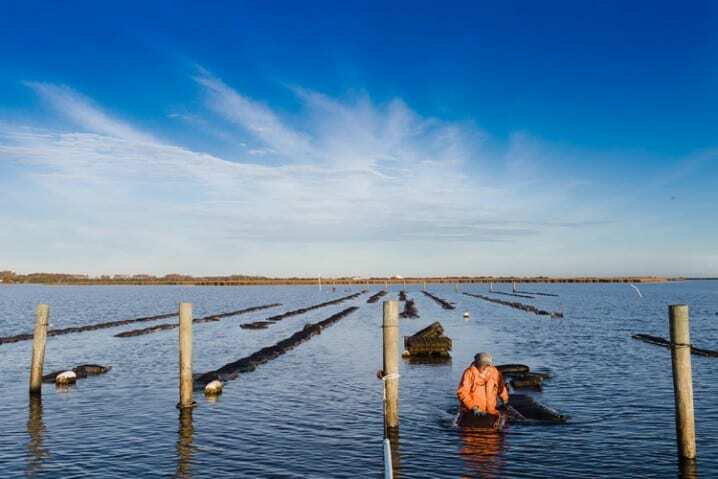 The North Carolina Coastal Federation is taking the heat for the oyster aquaculture bill, H361, that contains a few needed fixes but primarily was written to benefit one company – a foreign company with a murky record in other states where it does business. But the Coastal Federation and the collaboratory that was appointed to map out a plan to grow the state’s oyster industry didn’t write the bill. All of them items from the wish list of that one very large global seafood company. Just like last session’s Marine Aquaculture bill that opened the door to fish pen aquaculture in the sounds, this bill for caged oysters was written primarily to benefit the Canadian-owned Cooke Aquaculture, aka Cooke Seafood, which bought Wanchese Fish Company from the Daniels family in 2015. The company still employs some members of the Daniels tribe. In 2015, a member of the Daniels family began lobbying for what Cooke coveted – access to the sound for aquaculture. In 2017, they finally hit pay dirt when Sen. Cook pushed through both an oyster aquaculture bill and a marine aquaculture bill. That 2017 oyster bill was not well thought out and has been met with controversy and at least two law suits. The marine aquaculture legislation was cleverly crafted to begin with a red herring. Anyone reading just the first part of the law would think that it was about fish pens in the ocean. Unfortunately, most legislators read only the beginning and it flew through both chambers. If they had checked the company’s track record and read the rest of the bill, it’s doubtful that they would have approved plans that has opened the door to a company with a blemished track record. A few members of the House objected but their cries for sanity fell on deaf ears. In Canada, the company’s offices were raided and federal charges were filed after a chemical banned in Canada was used to kill sea lice in their fish pens. The product is banned because it kills shrimp and lobsters, and was discovered after dead lobsters were found in nearby pots. That chemical is not banned in the United States. The State of Washington is currently in the process of ridding itself of the company by cancelling leases or refusing to renew them after a pen failure allowed what is estimated to be more than 200,000 Atlantic salmon to escape. The failure of the equipment was found to be due to ignoring needed repairs, but initially the company claimed a high lunar tide caused the problem. In hurricane-prone North Carolina, it is easy to envision the problems ahead, and calls hit a brick wall for bonds to ensure that those who are granted leases pay for clean-up. The salmon escaped just as the Chinook salmon run occurred, causing fear of the non-indigenous fish of mating with the native salmon. There also was concern of disease from the farm-raised salmon but penned fish are so prone to disease because of growing in their own waste that they are injected with antibiotics before being placed in the pens. Conditions are not right for growing salmon in North Carolina, so thoughts are that the company will try its luck with cobia. How will they feed the penned fish? Cooke Seafood recently purchased Omega Protein in Virginia, the giant menhaden processor. They would use Omega-produced fish meal and dump it in the cobia pens in our sounds. Cooke wants hundreds of acres for leases for caged oyster aquaculture, although there is no structured plan nor a survey of the marinescape to identify where recreational and commercial fishing and other activities occur, where there are hunting blinds and other traditional uses. This lack of planning has drawn opposition from small oyster growers and fishermen – both recreational and commercial. Hyde County is Cooke’s preferred, location which is no surprise considering how poor the mainland portion of the county is. It has been so desperate for jobs that former Sen. Marc Basnight, D-Dare, stepped in years ago to block them from considering allowing a landfill next to the Alligator River. Hyde County was successful in attracting a chicken farm that recently came under fire for unsanitary conditions and had to recall more than 200 million eggs because of potential salmonella contamination. After more than 30 years of reporting on government, one thing is clear – if you want to pass a regulation or legislation just attach the words elderly, children or jobs. No matter what common sense might dictate, no elected official wants to be perceived of being against any of those things. And that was the pitch used by Hyde County economic development director, Kris Cahoon Noble, when appearing before Sen. Cook’s committee when they were discussing the bill. It is unclear if Noble also told the committee that her family that owns Cahoon Seafood and that it stands to benefit because of its involvement with Cooke Aquaculture. In any other county, that would probably be taken as a conflict of interest, but Hyde has always had its own way of doing things. Cooke Seafood setting up shop in Hyde County won’t be a job creator. There are plenty of jobs available at the existing oyster processors there, but none have been operating at full production this year due to a labor shortage and the clamp down on bringing in H-2B visa workers who have been their primary labor force for years. Either Cooke will have to bring in workers from the outside or lure employees away from the existing companies. No net gain there. Hyde is losing population because of the lack of opportunities and the unwillingness of folks to live there with few services and a severely under funded education system. Jay Stryon, president of the N.C. Shellfish Growers Association, has been lobbying hard for the bill to move forward as written, even though he is not registered to do so. And he is a assistant director of Marine Operations at UNC Wilmington, a state employee, which raises its own questions. Why is it a given that Cooke will be the company to benefit? Is it because that has already been decided? What does that mean? Why wouldn’t his job be lobbying for the organization’s membership? Although the bill apparently had been in the works for quite a while, publicly, there was no mention of it until the day it was filed. Why wouldn’t Cook and Boswell, who both claim that they support the commercial fishing industry, let it be known that the bill was coming? Were they trying to avoid push back? Apparently, many in the industry who should be in the know weren’t aware of the bill until it was mentioned at the Seafood Legislative Dinner. The opponents of the bill learned too late about the possible impacts to allow them time to effectively relate their concerns to members of the Senate, where Sen. Bill Cook is in a position of power, and the bill passed along party lines. But they did reach out to every member of the House and the resulting vote was 113-0 against accepting the bill. Now it will be sent to a conference committee made up of members of both chambers to try to resolve issues of concern. Cooke has been obtaining oyster leases by using employees as agents to apply for them, which is legal. Apparently, it is the wish of the company to have the leases under its own name so one of the changes in the initial version of the bill removed the residency requirement. The outcry caused the bill’s writers to retract that and put in a list of conditions to determine residency including allowing companies to incorporate in North Carolina and thus be deemed residents or live in the state for 60 days prior to applying for a lease. Another big sticking point was the increase in size of the leases which could allow such an increase in production that it would affect the market if not done gradually. And the most curious of all positions is that of the North Carolina Fisheries Association, which has announced that it won’t have a position until after its board meeting on June 18. If the earlier announced time table for ending the legislative session by June 15 had held, the association will come out with its opinion after the two chambers take action. Most, if not all, of the comments opposing the bill are members of the NCFA. That should carry some weight with the board, but there seems to be a lack of urgency in addressing the issue. Is it because Cooke Seafood has a seat on the board? The House leadership made it resounding clear early in the session that no fisheries legislation would be heard this session, no matter what the issue or who filed it. Did NCFA perhaps think that the oyster bill would be included in that? And if the organization has no position or instructions from its board, how can work on finding a compromise be carried out in the General Assembly? If there is no position, how can they know what is an acceptable compromise? Does any agreement on compromise include allowing Cooke to have its way, and if so, who approved that stance? Cooke and Boswell are leaving office so why would they be influenced by a foreign company and ignore their own constituents wishes? Surely that answer will become apparent at some point and many are waiting to see if they win their own personal bets. But one thing is clear, both commercial and recreational rank and file fishermen opposing parts of this bill are in lock step for the first time in recordable history. But will anyone listen? Everything in this bill that doesn’t fix problems resulting from the earlier bill should be stripped out and the matter taken up during the next long session after a proposed well thought out plan is put into place. And during the long session, there should be an immediate repeal of the legislation that is allowing the fish pens. These are public trust waters and the state has a constitutional obligation to ensure the preservation and best use of them for the people of North Carolina. Now, we can all hope that they remember that obligation and live up to it. But there are so many questions, and so few answers. Sandy Semans Ross is executive director of Outer Banks Catch, and a regular contributor to the Outer Banks Voice covering fisheries and legislative issues. We were sold out when wanche’s sold to a foreign company. Now it seems the foreign company cooke is gonna get all our natural resources from the deep sea to our state waters. It’s wrong to give them these rights. What is right about a fishing coming in our state and taking business away from locals. 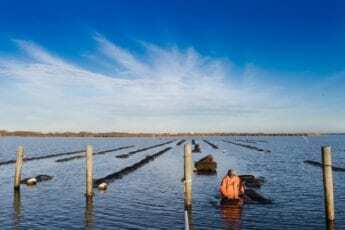 No way this is MORALLY the right way to go about farming oysters or farming fish in MY(OUR) WATERS!!!!! Unfortunately, the almighty dollar is all that matters to many in so called “leadership” positions at the state and national levels. Clean air and water be damned. So can anyone enlighten me as to what Senator Cook and Rep. Boswell, self-proclaimed champions of eastern NC’s commercial fishermen, ever did to support watermen? Seems to me that they are handing over large swatches of public waters to a Canadian corporation, a favor that will have a devastating impact on small-scale watermen. Benchmarks set in FRA97 required all persons harvesting or selling seafood in NC have a SCFL. Any person desiring to own a shellfish lease franchise must be held to those same standards, no exceptions. There is an error in this commentary that is being corrected by removing reference to the NC Wildlife Federation. The NCWF supports aquaculture but not the bill as written. My sincere apologies for the error. I would not doubt that NC Wildlife Federation supported H361 in its original form that dealt with a Wildlife Crescent Trail from the mountains to the sea and included oyster sanctuaries and had Rep McElraft as a sponsor. The bill was gutted by the Senate with PCS (proposed committee substitutes) and Rep McElraft removed her name from the sponsors list along with others when the entire bill was changed. I’d check with the Wildlife Fed and ask, but either I’m wrong or you are Ms Seamons and it would not be the first time for either of us. Good Fishing!! !